Posted on March 28, 2017 . No comment. After I was full of sushi and do shopping enough. I was back in Japanese drama fan mode by visiting NHK Studio Park. The theme park of Japan major boardcastor NHK. 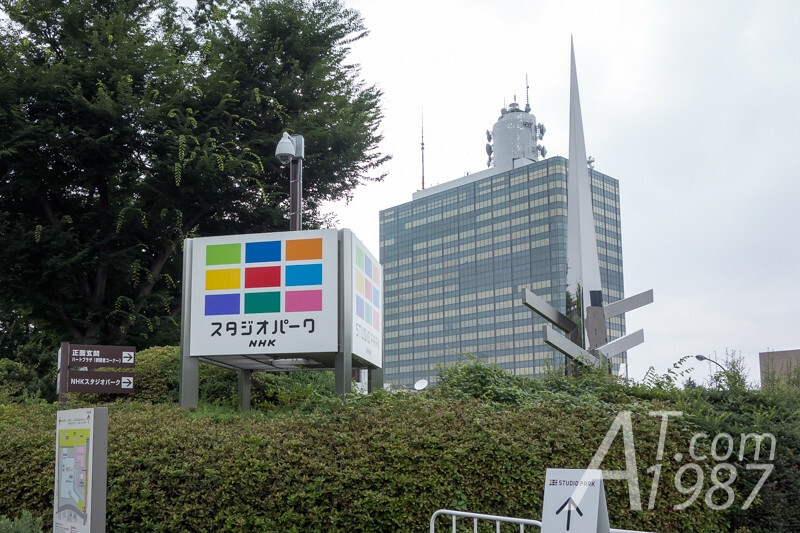 NHK Studio Park is in NHK Broadcasting Center which is in the same area as NHK Hall. The venue I went to watch Ebichu concert earlier. You can walk from JR Shibuya Station, JR Harajuku Station or Tokyo Metro Meiji-Jingumae for about 12 minutes. Those who don’t want to walk. I learn from NHK website that you can take a paid shuttle bus in front of Shibuya Mark City. The same building as Midori Sushi in the last post. However I prefer walking since you can see a lot of shops and restaurants on the way to it. 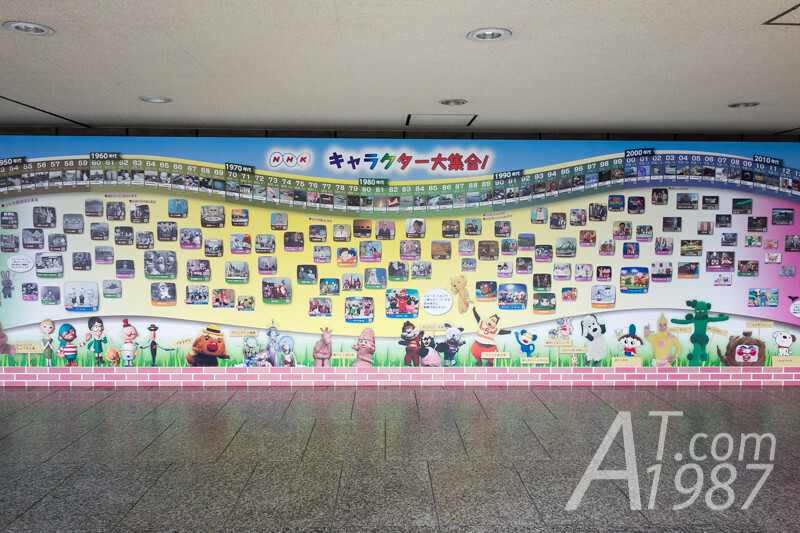 Outside the building had the board showing all NHK characters from the past until 2015. (The year of this trip.) It is certain that Amachan is on this board too. The tickets can be bought from the vendor machine at the entrance. The price is 200 yen. Group tickets (20 persons or more) is 150 yen. Under 18 years old children and 65 years old or more elders can enter for free. Other than vendor machine. 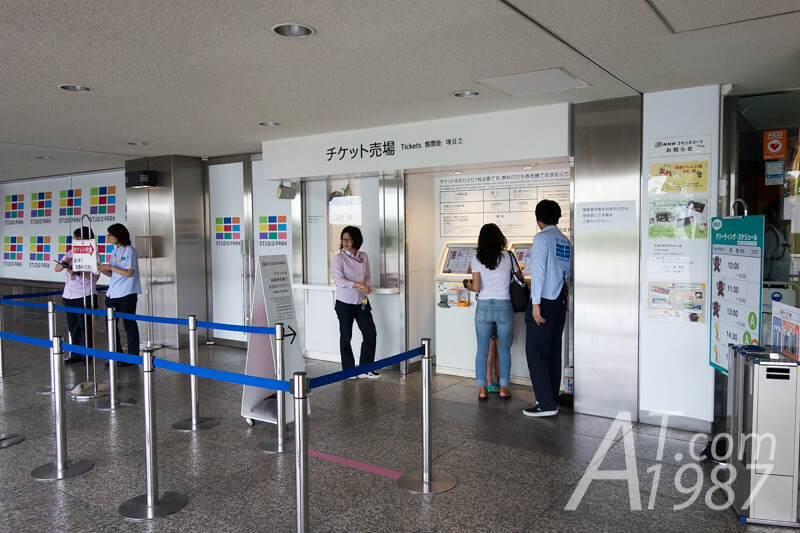 You can see the schedules for special exhibitions, broadcast time of the studio inside NHK Studio Park and NHK characters such as Domo-kun meeting time in specific locations. Floor plan from the pamphlet. 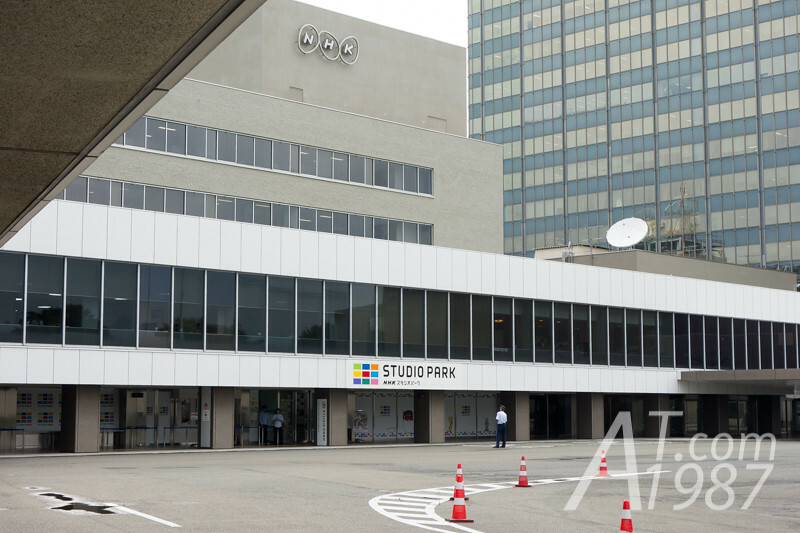 NHK Studio Park is divided into 3 levels with specific path to see each zones. Taking photographs is allow in almost zones except some areas such as zone 1 where is 8K broadcasting screen is on or the place which exhibit the photos or celebrity sign card. These areas will have the warning sign to warn you. After I watched behind the scene video of Hana Moyu in 8K resolution. 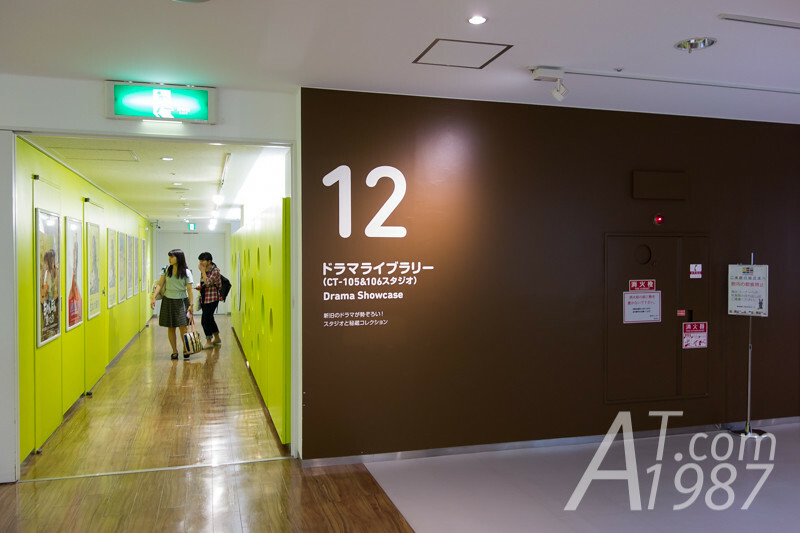 I saw Studio Gallery (Zone 02) where is the latest NHK program exhibition will be held here. 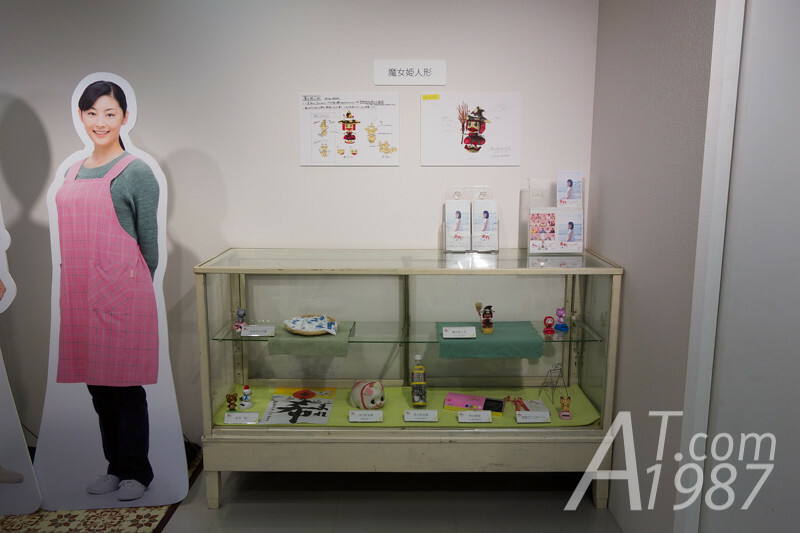 On the day I went it is exhibition for NHK Asadora Mare that has the famous Tsuchiya Tao as heroine. 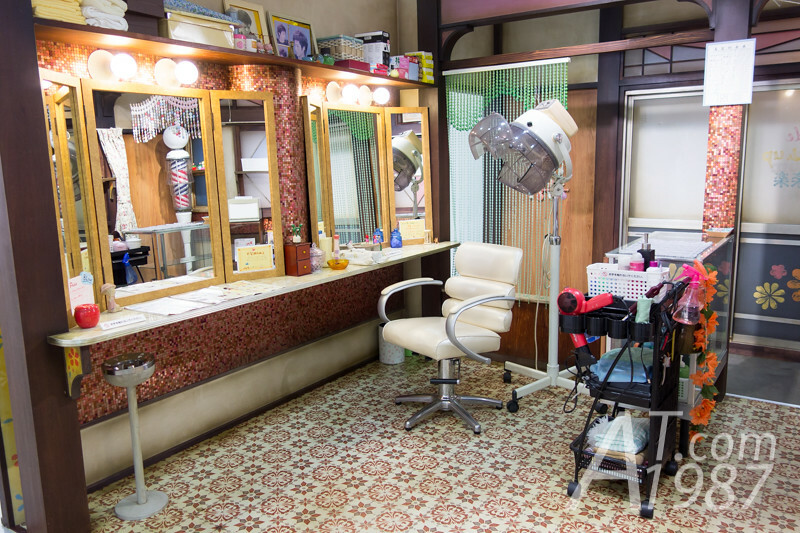 Salon Haru scene was shown inside this zone. I don’t know if it is accurate as in the drama or not since I never watch it. Small items prop were shown in the glass cabinet. 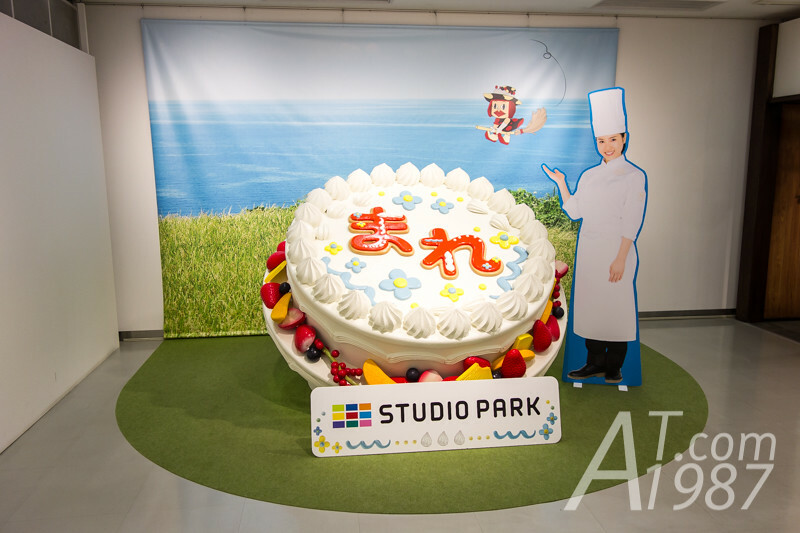 There was a large cake which you could be take a photo with in the other side. The staff was near to help visitors taking their photos. I followed the path to see the zones in Studio Park. It was quite silent since only a few people visited on that time. I stopped by Domo-kun Square (Zone 11) to have some drink from the vendor machine here and took some drama and program brochures. Let’s see what’s inside the zone 12.